Our committed team of passionate professionals represents both national and international clients in areas of intellectual property (patent, trademark, copyright) law, business formation, contract formation, food drug and cosmetic law, and foreign direct investment in an efficient and cost-effective manner. Mr. Khullar is a registered patent attorney with experience in dealing with federal regulatory, intellectual property (patent, trademark, copyright), litigation, intellectual property licensing and transactional matters. Mr. Khullar zealously represents clients in intellectual property litigation: patent; trademark; copyright; and domain dispute litigation. Additionally, his practice also focuses on FDA (U.S. Food and Drug Administration) Premarket Clearance (510(k) to obtain FDA Approval for medical device including Abbreviated 510(k)s & Special 510(k)s), GME (Good Manufacturing Practice) audits, FDA De Novo Submission, Premarket Approval (PMA), 513(g) Classification Ruling, Drug & Medical Device Labeling, compliance with the bi-annual FDA registration requirement for foreign and domestic food facilities imposed by the Food Safety Modernization Act (FSMA), and ISO 13485. Mr. Khullarâ€™s technical fields of expertise comprise electrical/electronic engineering, informatics, software development, medical devices, image processing and medical physics. Mr. Khullar has prepared and prosecuted patent applications for various fields of invention, including but not limited to cardiac pacemakers, defibrillator, CT, MR, Ultrasound, electrical contacts, complex electromechanical devices, semiconductor devices, computer software & hardware. Mr. Khullar received his Juris Doctor from Saint Louis University School of Law, his Masters in Science degree in Biomedical Engineering from Wright State University and his Bachelor in Science degree in Medical Electronics from Bangalore University, Bangalore, India. As part of his undergraduate studies, Mr. Khullar also studied Physiology, Anatomy, Biochemistry and Pathology. In-House Attorney, i-Payout Systems, Inc. Associate, The Small Patent Law Group. 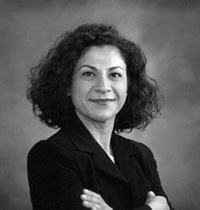 Patent Engineer, The Small Patent Law Group. Intern, Office of Innovation and Intellectual Property, St. Louis University. Bioinformaticist, Center for Advanced Medicine, Washington University School of Medicine, Department of Radiation Oncology. Clinical Scientist, Philips Medical Systems. System Engineer Intern, General Electric Medical Systems (X-Rays), Bangalore, India. Intern, Malaya Hospital, Bangalore, India. JD, Saint Louis University School of Law. IPSI, Franklin Pierce Law Center. MS, Biomedical Engineering, Wright State University. BS, Medical Electronics, Bangalore University. Anthony Kuenzel is an experienced trademark and copyright attorney. 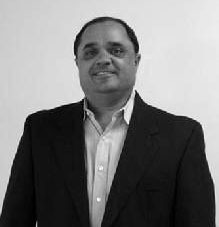 Mr. Kuenzel brings his extensive business and political experience to USAPATENTS.COM and KHULLAR P.A. Before going to Law School, Mr. Kuenzel managed the property management company Dad and Sons, LLC. Additionally, he has extensive experience in the political departments of two U.S. Senate campaigns, as both Regional Political Director and Statewide Deputy Political Director. Based on his combined business and political experience, Mr. Kuenzel takes a business approach to efficiently represent clientsâ€™ versatile interests. Mr. Kuenzel lives in St. Louis, Missouri. Mr. Kuenzel focuses his practice in the area of Intellectual Property, Trademark Law, Entertainment Law, Business & Contract Law, Litigation/Trial. He also handles Landlord/Tenant Law, Wills and Trusts, as well as Election Law matters. Vinod K. Khullar is a Delhi based attorney: Mr. Khullar focuses on general practice of law along with intellectual property, corporate and business law, and foreign direct investment. Mr. Khullar is a member of the Delhi Bar (India). Mr. Khullar received a Bachelor of Science degree from Punjab University in 1968 and an LLM degree from the Delhi University in 1995. Mr. Khullar is fluent in English, Hindi, and Punjabi. 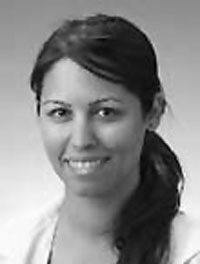 Dr. Mona Kalayeh serves as a consultant to USAPATENTS.COM and Khullar P.A.. Dr. Kalayeh is an Oral and Maxillofacial Surgery resident advising the firm as an expert on FDA regulations, foods, drugs and cosmetics law. Additionally, Dr. Kalayeh advices the firm in regards implants and medical devices patents, dental patents, chemical patents, and biomedical patents. â€œChemo-mechanical Characterization of the Interfacial Bondâ€� March 2007, abstract IADR. Experienced executive for Product Operations and Development including Engineering, Quality Assurance/Quality Engineering, Program Management, Documentation, Performance Engineering, and Compliance for enterprise software. Experienced in establishing Global Development Centers and managing full product lifecycle. Managed distributed teams of 145+ employees. Experienced in planning, developing policies and guidelines, adhering to budgets, team building and achieving performance goals. Proficient in account and business strategy formulation, project management, team leadership, client relationship building, and technical architecture design. Member of Executive Council team overseeing strategy and technology partnerships. 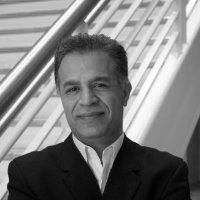 Vice President, Engineering, Saba Software Inc. Manager, Product Development, Informix Software Inc.
Ms. Derek also consults the USAPATENT.COM and Khullar P.A. help clients in managing pre and post sales including pre-sales support, professional services, training, and business operations. Ms. Derekâ€™s experience extends to all aspect of mergers, development of business plans, worldwide business integration, and employee retention. Mr. Gigliottiâ€™s practice is focused on intellectual property litigation in Federal Courts. Mr. Gigliotti has been practicing law both in both Floridaâ€™s State Courts and the United States Federal Courts since 1995. He gained his acumen in Intellectual Property Law from Franklin Pierce Law Center (now the University of New Hampshire) where he received his Masters in Intellectual Property Law (MIP). Mr. Gigliottiâ€™s takes a result oriented approach to litigation, while providing efficient and cost effective service to clients. His practice specializes in trademark, copyright, patent, licensing, manufacturing and sales agreements, non-compete agreements, infringement, internet domain name disputes, contract issues, import/export, and any other related business or personal issues.